What would you give to save the thing you love the most? It has been twenty years since Lucie Bowen left the islands. Twenty years ago, the May Day Quake set loose catastrophic waves along the west coast, from Alaska to California, shattering thousands of lives. Twenty years ago, Lucie's father disappeared in an explosion at the Marrow Island oil refinery, a tragedy that destroyed the island's ecosystem and sent Lucie and her mother to the mainland to start anew. Twenty years ago, Lucie and her best friend, Katie, were just Puget Sound children, tucked up under their desks, hovering under mylar sheets, hoping to survive. Now, Katie writes with strange and miraculous news. Marrow Island is no longer uninhabitable, no longer abandoned. 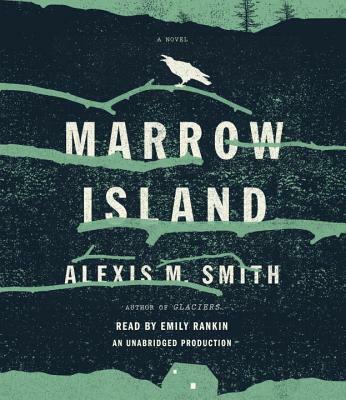 She is part of a community, a mysterious Colony, that has, somehow, conjured life again from Marrow's soil. Lucie returns. Her journalist instincts tell her there's more to the Colony and their charismatic leader--a former nun with an all-consuming plan--than its members want her to know. The island's astonishing rebirth seems to have come at great cost--perhaps to the colonists themselves. As she uncovers their secrets, will Lucie endanger more than their mission? What price will she pay for the truth? I was always a part of you, and you were always a part of me, Katie writes. And in this marvelously spun story Alexis Smith reaches into the depths of our connections to our pasts, our loved ones, our devotions. Our choices may bring us to the brink, but within our promises to each other and our hopes for the future, at the intersection of science and faith and grace, there may well be miracles in the making. Alexis M. Smith was born and raised in the Pacific Northwest. She attended Mount Holyoke College, Portland State University, and Goddard College. Her debut novel, Glaciers, was a finalist for the Ken Kesey Award and a selection for World Book Night 2013. She lives in Portland, Oregon with her son.